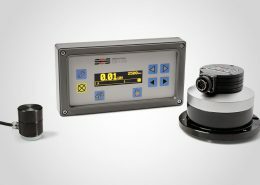 Auto balancing solution is elegantly simple: a computer control panel, a vibration sensor, spindle mounted adapter and a balance head (either external or internal to the spindle). Automatic Balancing enables the operator to ensure proper balancing with just the push of a button. 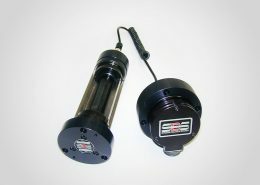 The SBS automatic balancing solution is comprised of a computer control unit, a vibration sensor, and spindle-mounted adapter and a balance head (in either external or internal configurations). Once activated, sensors attached to the grinding machine detect and measure the imbalance and transmit this signal to the control unit, which automatically adjusts the position of counterweights inside the balance head to automatically and dynamically eliminate the vibration of the machine. In order for the wheel of a grinding machine to accurately cut, produce smooth surface finishes, and generate correct part geometry, it is necessary to prevent vibration in the grinding process. A primary cause of vibration during grinding is the existence of imbalance in the grinding wheel. This is often due to the heterogeneous nature of the grinding wheel, which contains great numbers of unevenly distributed grains, causing intrinsic imbalance. This imbalance can be compounded by eccentric mounting of the wheel, varying width of the wheel, imbalance in the arbor, and coolant absorption into the wheel. Considering all these factors, even a carefully established initial balance will not last long. Furthermore, due to wear and dressing, the rotational dynamics of a grinding wheel are always changing. 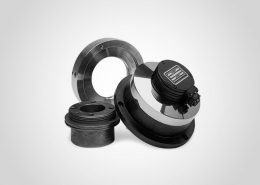 For these reasons, dynamic balancing of grinding wheels has long been recognized as an important step in the production process. 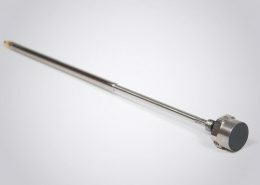 Manual balancing consists of a manual balance control unit, a vibration sensor and a RPM sensor. Manual Balancing permits the operator to balance the wheel before operation by adjusting two or three movable balance weights that are placed in grooves in the wheel flange or wheel hub, and which can be independently positioned. 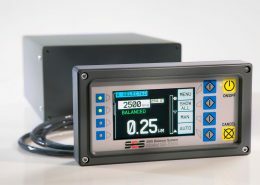 Consisting of a computer control unit, a vibration sensor and an RPM sensor, the SBS manual balancing solution detects and measurement the imbalance, calculates the compensation needed to eliminate the imbalance and guides the operator in manually placing the balance weights at calculated positions. 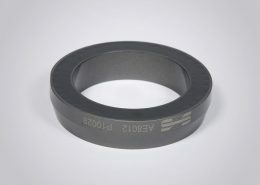 This solution provides a lower cost alternative for dedicated machine tool balancing. Standard process Monitoring with acoustic emission involves the detection and analysis of high frequency noise (acoustic emission or AE) generated by the grinding process. The AE-1000 and the AEMS add-in card for the SB-5500 help reduce air grind time and provide automatic crash protection by using proprietary acoustic detection technology. 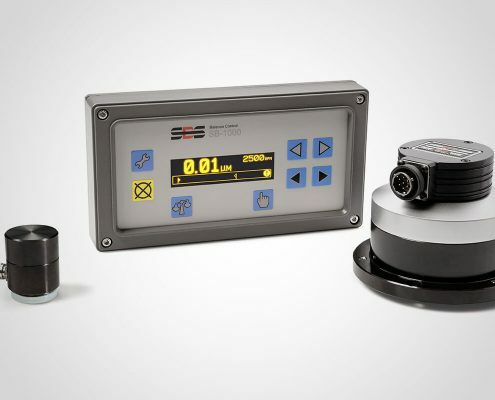 SBS now offers two different versions of our AEMS (Acoustic Emission Monitoring System) that provide our customers the capability to monitor their grinding process with exceptional precision. 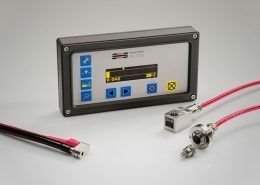 The AE-1000 Acoustic Monitor is a basic control that offers crash protection and one programmable process limit that can be used for Gap elimination or monitoring grind quality. The AEMS add-in card for the SB-5500 control offers more flexibility with a separate Gap and Crash Limit, as well as two additional programmable process Limits. 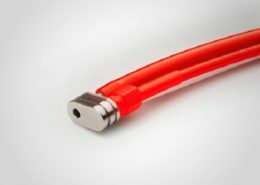 The AEMS product line uses proprietary acoustic sensor technology to monitor the high frequency signals generated on the grinding machine structure during key events in the grinding process. The user can set up the system easily and quickly, and immediately reap the benefits of improved control over the grinding process. As well as optically isolated relay outputs, the Schmitt AEMS card gives an analogue 0 – 10V signal which can be fed into an external data-logger for quality or monitoring purposes. The graph shows the acoustic signature taken from the grind cycle of an automated cylindrical type grinding machine using a standard external acoustic sensor. This data can be interpolated using software such as MS Excel. Four components have been ground to size over a time period of 74 seconds. Each ‘peak’ on the graph indicates the grind cycle of one individual component, each taking approximately 20 seconds. The acoustic amplitude is shown on the Y axis of the graph. Close examination of each ‘peak’ reveals the initial grind as most material is removed from the part and acoustic signal reaches its maximum. The signal then drops after most of the part’s material has been removed. ‘Spark-out’ then occurs and correct part diameter is reached – shown by the flat spot in the graph. 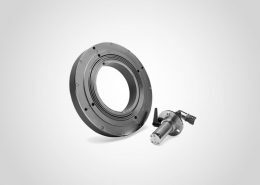 The dip in acoustic signal towards the end of the cycle shows grinding wheel-head retraction and the wheel loses contact with the part. This is followed by high pressure coolant being turned off. This cycle is repeated four times for four components. 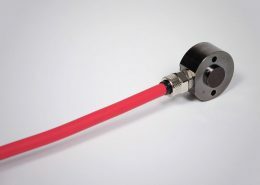 Acoustic Emission sensor solutions provide a return on your investment. To enable the SBS Acoustic Emission sensor, users must install an AEMS interface card into the appropriate slot of their SBS controller. In addition to optically-isolated relay outputs, the Schmitt AEMS card gives an analogue 0 – 10V signal which can be fed into an external data-logger for quality or monitoring purposes. Below are five dresser passes taken from a camshaft grinder with a CBN (Cubic Boron Nitride) type grinding wheel. The SBS ExactControl card has been developed to meet today’s requirements for comprehensive process monitoring. 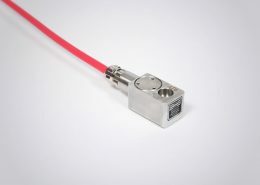 Six acoustic emission sensors can be connected, two can be operated simultaneously. It can be plugged into the SB-5500 or SB- 5575 controllers, which are also capable of automatic and manual balancing, hydro-balancing and cards for basic acoustic emission monitoring. The ExactControl card is multi-channel capable and has Profibus and Ethernet interfaces, and analogue and digital inputs / outputs. With this card, power, spindle current, vibration, temperature, torque and speed, as well as information from the controller, e.g. alarms and positions can be used individually or in parallel for process monitoring. A micro SD card is integrated for data storage and records all grinding cycles in a continuous loop to its memory. In a three-shift operation, all process data can be recorded for at least the last three months for process analysis. Each grinding cycle is recorded with a date and time stamp and can be viewed and analyzed individually and in its entirety. In this way, various process monitoring strategies can be tested and developed later on the basis of the recorded data. IVIS (intelligent visualization) is the PC-based control software for the SB-5500 and SB-55 75. IVIS provides easy-to-use operation and simple integration. Via IVIS the process data can be visualized and the devices can be configured. Seven possible starting sources as well as two parallel channels of the ExactControl card can be displayed and managed. With the IVIS MiniView, the process monitoring is always visible, even when the machine screen is in operation or other software is running.